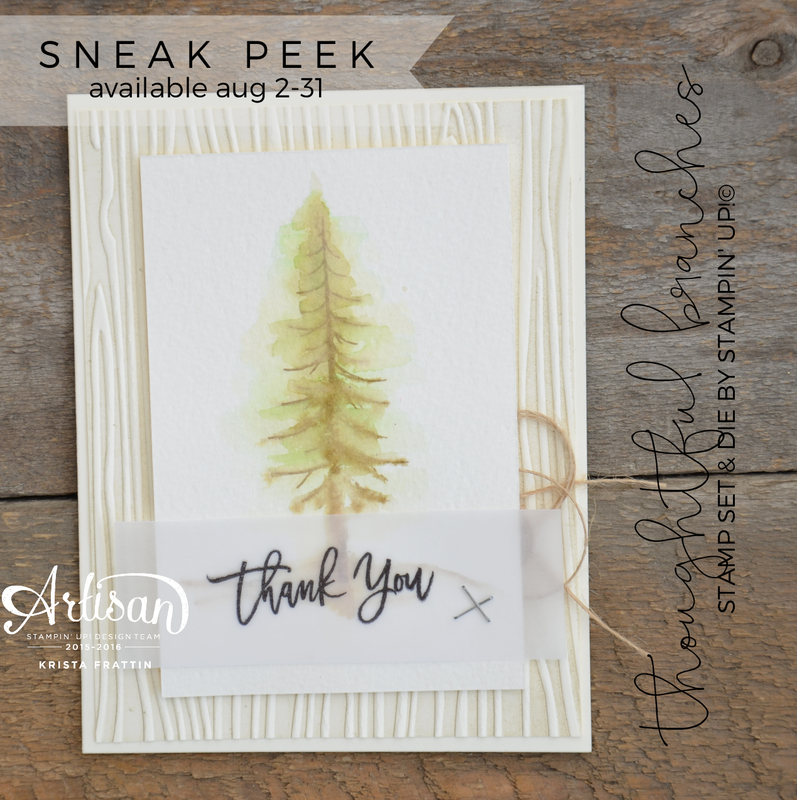 Stampin' Dolce: Sneak peek! Thoughtful Branches - Artisan Design Team Blog Hop! Sneak peek! 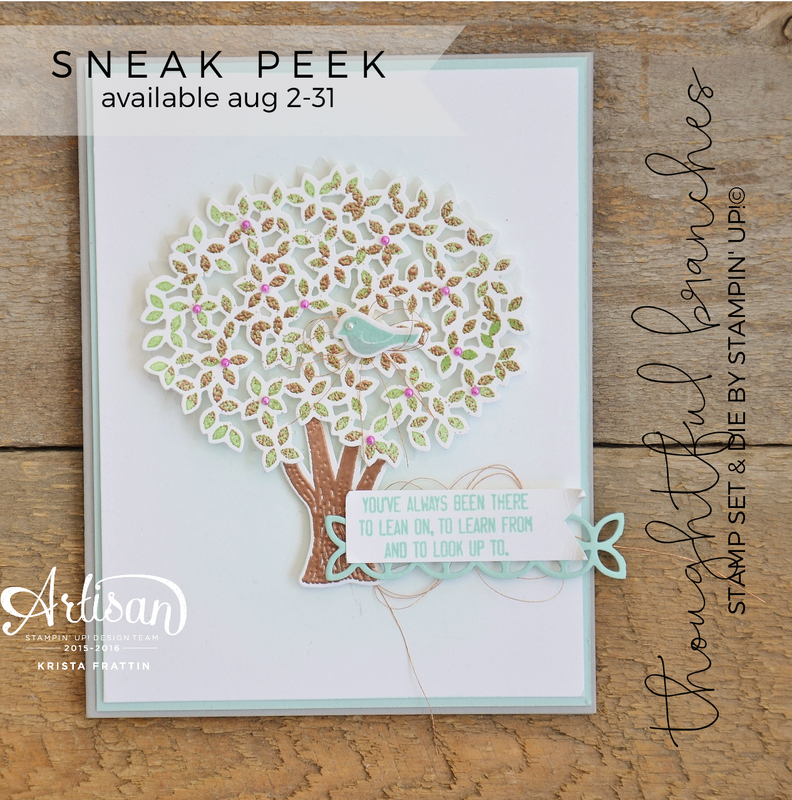 Thoughtful Branches - Artisan Design Team Blog Hop! Welcome to a special edition blog hop from the Stampin' up!© Artisan Design Team! Today we are bringing you a sneak peek into a new exclusive and limited time stamp set that will be available for purchase next month. 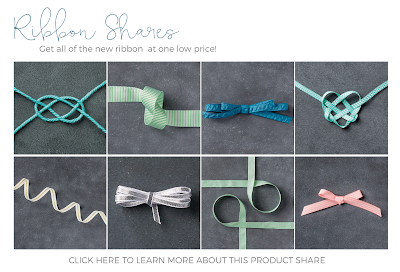 Demonstrators will be able to pre-order the bundle during July and receive a Bonus Days coupon that they can use toward the Holiday Catalog pre-order during August. There is so much to love about this bundle. The ideas will be endless ..... oh the trees, flowers and leaves you will create! There are 9 dies in this set and 23 stamps! Look at this darling little bird! swoon! To add dimension, I cut two trees. The first one, as you see, is stamped with Pear Pizazz ink, sprinkled with Copper Embossing Powder and heat set with the Heat Tool. I cut the second tree with Vellum and layered it behind. I could not resist watercoloring this tree. I did a watercolor wash with Pear Pizazz on Watercolor Paper in the shape of a long, thin triangle. When it was still wet I stamped the tree branches over with Soft Suede Ink. It made the branches run into the green watercolor. I used an Aqua Painter to blend the colors a little bit before I let it dry. I know you are going to want to have this bundle. Just add it to your wish list from the Annual Catalogue, right? Is your wish list as big as mine? 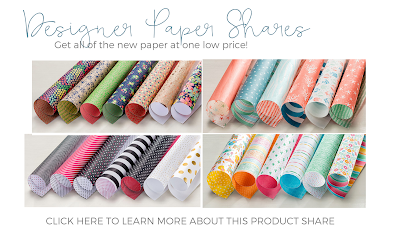 I have good news ... you can receive this new bundle at a discount in August! During July, for every $60 you spend on Stampin' Up! 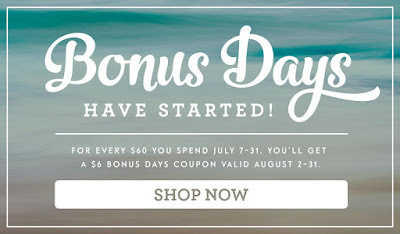 merchandise, you will receive a $6 bonus days coupon to spend in August! Spend $120 and get a $12 coupon ... you get the idea. Canadian followers can shop my online store 12|7. Remember, my customers collect Dolce Dollars for even more free rewards! Keep clicking through the design team to see what we have all created with the sneak peek bundle! The Artisan Design Team will be back with our next blog hop on July 14th plus another blog hop featuring this bundle on August 2nd. Come back and visit!